Exercise is thought of as the cure for many things. It can help fight obesity and make you fitter, but it can also work as a form of therapy. 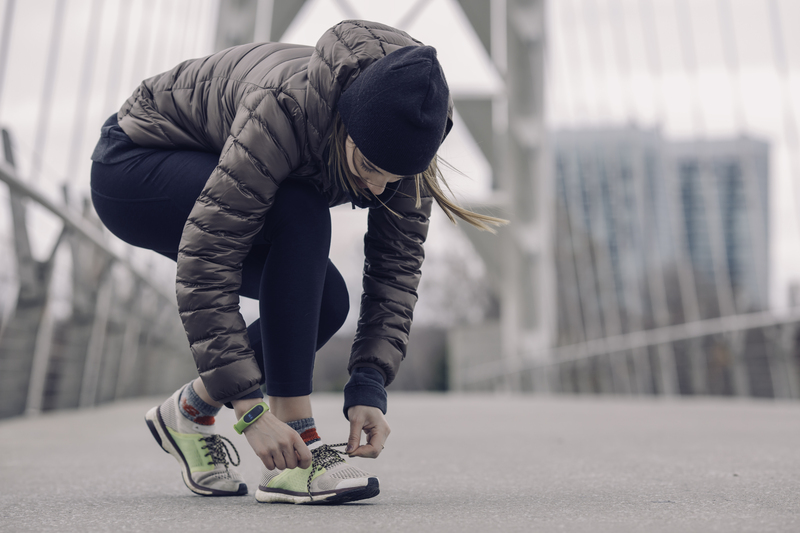 Whether you’re recovering from an illness, addiction or a period of poor mental health, exercise could be the therapy you need to help you feel well again. Finding a routine and an exercise that makes you happy and content is important for the healing process, helping you to find that much-needed balance in your life again. An injury can devastate you, especially if it means that you have to give up an activity that you love. Those that injure themselves during sport, for example, can go through a period of depression following their injury. As well as dealing with the mental healing from an injury, it’s also important to rebuild your strength and discover new ways of exercising that can help with your recovery. Exercising after an injury isn’t an easy step, and there’s a lot of anxiety and fear of becoming hurt again. Like many things, exercise shouldn’t be rushed - it’s important that you start off with gentle exercises before building up to more intense training. You may find that exercises such as swimming and pilates are good for strengthening your muscles at a gentler pace, increasing your mobility over time. You can get some good advice from your doctor about which exercises are safe to perform after your injury, and some sessions with a physical therapist may also be recommended. Exercise has many benefits while recovering from injury, and you might surprise yourself at what you can achieve. The process of rehabilitation from an addiction is a long and difficult one. While exercise is by no means a cure, it can help you to regain your health as you become sober. Exercise could form a part of your treatment at a center like https://www.orlandorecovery.com/ and is something that you can continue with on your own to continue your recovery. Exercise benefits those recovering from addiction by providing a focus and routine that helps to provide a distraction. In addition to this, exercise can help the body to recover after a period of abuse and help you get healthy again. Exercise naturally replaces many of the good feelings that substances create artificially, and you may find the thrill of a challenge a good way to find purpose and feel achievement. Reading stories of others that have overcome addiction through exercise, like the founders of Racing for Recovery (read their story: http://articles.chicagotribune.com/2013-06-12/health/sc-health-0612-fitness-fight-addiction-with-exerci-20130612_1_todd-crandell-drug-addiction-reward), can show you the many ways people like you have overcome their problems to achieve amazing things. If you’ve been let go from your job, suffered a tragedy or even a bad break up, exercise could help you to heal. Exercise is a good stress reliever and can help you to take some time away from the issues that are causing you to feel down and boost your positivity through the production of natural endorphins. A setback can affect your self-esteem, and exercise could be the thing you need to regain it. Aside from helping you form a routine and giving you something to work towards, exercise can make your body leaner and stronger - which can make you feel more confident. When it feels like you life is spiraling out of control, exercise is the one area you can take charge of. The effects of exercise on stress are well-known, and something simple such as going for a walk can make a big difference while at work or dealing with stress at home. When you’re stressed it can be difficult to find the motivation to exercise, but you’ll feel much better by getting yourself out the door. The American College of Sports Medicine published a study on the role of exercise in stress management: http://journals.lww.com/acsm-healthfitness/Fulltext/2013/05000/STRESS_RELIEF__The_Role_of_Exercise_in_Stress.6.aspx. Amongst its many findings, the article found that 47% of respondents found walking or other forms of exercise as an effective way to relieve stress - compared to the 39% who overate or indulged in junk food as a way of coping. Through exercise, you can channel your energies into an activity that will help you forget about your problems and might make them feel less significant afterward. Getting into the habit of going for a run or practicing yoga when you feel stressed is a much healthier way to manage it than eating junk or drinking alcohol. You’ll feel better for it while boosting your overall health too. - Pick an activity that you love: you may already know that you love running or weight training, but if you find it difficult to find something you like - try as many different activities as possible until you find your fit. - Make time for it in your schedule: if you see exercise in your schedule as an appointment, you’ll be more likely to stick to it. Set yourself reminders and plot it out in your calendar to make sure you keep it up. - Enlist a friend to help you: exercise can be easier with a friend. Choose someone you trust who can help to motivate you, while you offer motivation in turn. Going to a class or joining a running club is also a great way to meet some new people and rebuild your social life. - Refresh your routine where possible: this will stop things from becoming stale and means that you won’t become bored by your routine. Take a different route, try a harder class or whatever it takes to keep exercise a challenge. Exercise is a great form of therapy that could even end up being your passion in life. Whatever you’re trying to overcome, give it a try and see if it makes a difference to your overall mood and well-being. More than anything, it will make you healthier and stronger and better able to handle whatever life is throwing your way.